The University of Nebraska-Lincoln is proud to be one of the largest summer conference operations of our kind in the country. Our conference centers in Lincoln, Nebraska can accommodate up to 5,500 attendees with full service meeting, dining and sleeping options. If you're looking for a premier spot to host your next business training, conference, or retreat we offer a number of great amenities to ensure your event is a success. 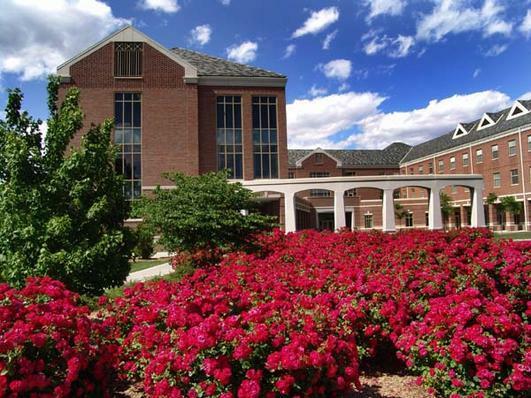 Flexible meeting spaces, indoor and outdoor training facilities, fully furnished apartments and suites, plus a comprehensive catering package are a few of the many perks you will discover at the University of Nebraska- Lincoln. 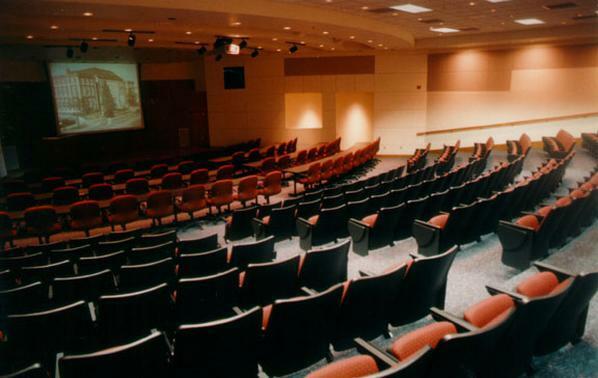 The Lied Center can accommodate up to 2,200 in auditorium style and has various breakout rooms with numerous configuration possibilities. All housing options are newly renovated in the last 5 year or new build with individual room temp control, self-serve laundry on each floor, 24/7 front desk concierge and meet/greet space in the front welcome areas. Your UNL dining experience can range from full catered events, to healthy, local farm grown meals and "around the world" daily variations within our "all you care to eat" dining halls. You won't find more options available in the Lincoln, NE area. 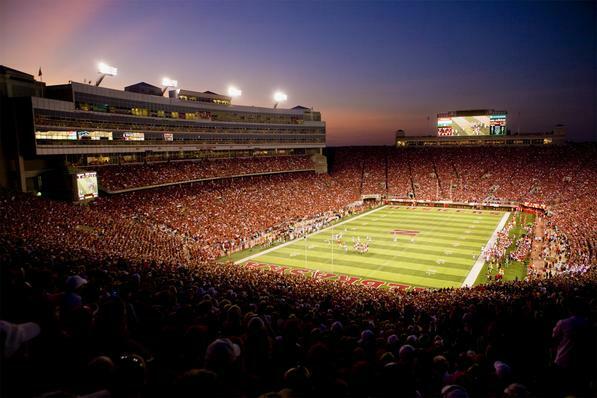 Whether you are planning a camp, retreat or meeting, consider University of Nebraska for your next event! 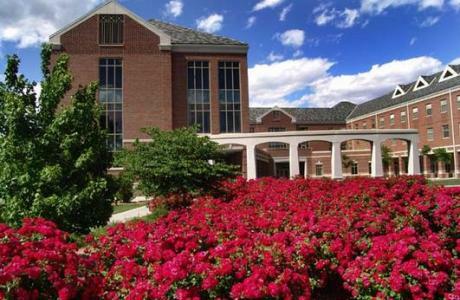 University of Nebraska- Lincoln offers residential guest accommodations and meeting space mid-May through August. 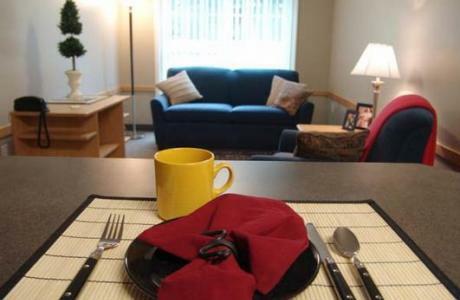 UNL has a variety of accommodations available including Suites, Residence Halls or Apartments. 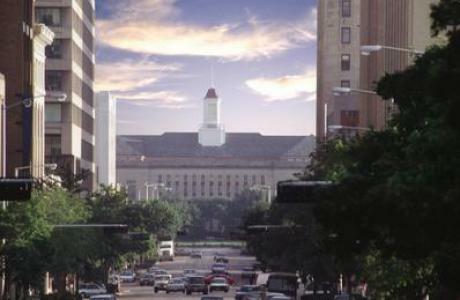 There are also many Lincoln area hotels within walking distance. University of Nebraska- Lincoln offers state of the art multi-media technology including complimentary wireless internet, video teleconferencing, built-in sound systems, large computer labs, satellite links, in-ceiling projectors and wireless microphones. Our in-house technical support staff is available to create a seamless event for you. As part of a group's meal plan, conference attendees will enjoy UNL's exemplary dining program in one of our four dining centers. The dining experience can range from full catered events, to healthy, local farm grown meals sourced directly from the Lincoln, Nebraska area. We also have "around the world" daily variations within our "all you care to eat" dining halls. If you would like to incorporate special catered meals into your program during your experience, our professional catering team is at your service. All-inclusive meeting packages available as well as rates customized to meet your specific meeting needs. Accommodations are available in single, double and triple occupancy. Long term and short term stays available. Our mission of research, education and service is required as foundation of the group utilizing UNL campus and its accommodations. Conference Services works with groups utilizing overnight accommodations, meeting space is available for day use and can be reserved through specific building contacts. If youth will be staying on the UNL campus the UNL Youth Activity Safety Policy must be followed. Meal packages are required for all groups. Willa Cather Dining Complex	 Built in 2017, this state-of-the-art facility incorporates dining, event, and meeting space into a beautiful building on the east side of the University’s City Campus. With multiple spaces and many configuration options, this venue is able to provide accommodations for everything from small meetings and presentations to large gatherings. 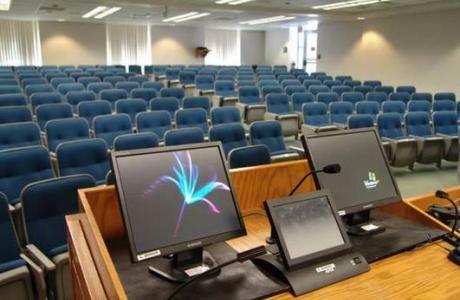 All spaces come equipped with microphones, media projection, built-in audio, and the ability to connect your own devices. In-house catering can provide anything from coffee and cookies to a served meal to enhance your event. Residence Hall Space	 Conveniently located in our residence halls, our conference rooms, lounges, lobbies, and study spaces can accommodate many activities. 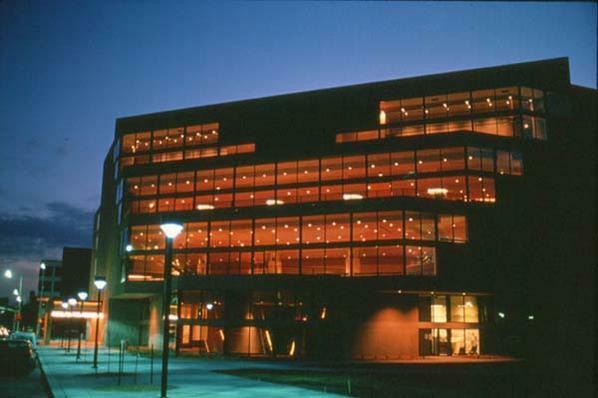 Kauffman Academic Center	 Centrally located, this venue has classrooms, multipurpose rooms, and a banquet hall. 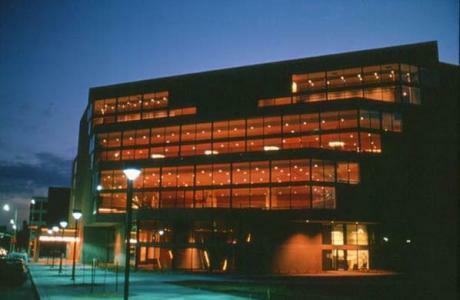 The Lied Center for Performing Arts	 Lincoln's premier performing arts center is located right on campus. The main theatre seats over 2200. Few venues in the Midwest share the distinctive culture, prime location and picturesque views that the Lied Center can provide for a special event. The versatile spaces can be tailored to suit many needs — whether it be as large as planning a performance, as small as a reception, or as simple as a meeting. Lied Center Auditorium	 The main hall can seat 2,192 people, with the opportunity for 66 additional seats by lifting the orchestra pit. Wheelchair seating and access is available. Lied Center Steinhart Room	 The Steinhart Room is often used for meetings, classes, receptions and even small concerts. The room also features a retractable wall to divide the room into two meeting areas to increase versatility. Lied Commons	 The newest addition to the Lied Center for Performing Arts, the Lied Commons, opened in 2012. A versatile space, the Lied Commons has its own dedicated entrance extending on to the Friends of Lied Plaza. Nebraska Union Auditorium	 This auditorium accommodates 300 people in theater-style seating and includes the lasted technology. Nebraska Union Centennial Room	 Located on the second floor of the Nebraska Union, the Centennial Room can accommodate 500 in banquet-style seating and 720 in theater-style seating. Nebraska Union Ballroom	 Located on the second floor of the Nebraska Union, the Ballroom can accommodate 350 in banquet-style seating and 500 in theater-style seating. Classrooms	 Available throughout campus, UNL classrooms offer a variety of options and are equipped with modern technology and A/V equipment. Wick Alumni Center	 The Wick Center Great Hall has seating for 200 people at banquet events and 400 people at receptions. The room features a three-story-high cathedral ceiling, mahogany paneling, an electrically-controlled projection screen, and a computerized lighting system along with theatrical lights. Other rooms in this building include the Dana Room, the Seacrest Library, and conference rooms. Champions Club	 Next to Memorial Stadium, the Nebraska Champions Club has two great spaces for formal or casual events. Morrill Hall State Museum	 Morrill Hall is available for any event you would like to host in a unique facility. Devaney Sports Center	 The home of Nebraska Volleyball beginning in the 2013 season, the 7,907-seat Bob Devaney Sports Center is one of the top venues in the midwest. The space includes a high definition center-hung video board and 10MM video boards on each side. Other amenities include increased and renovated restrooms and updated concession stands. Van Brunt Visitors Center	 The Van Brunt Visitors Center great hall features 40-foot high ceilings and a warm living room atmosphere with a large video wall. Kimball Recital Hall	 The Kimball Recital Hall is an acoustically exquisite, 850-seat concert facility which provides balcony seating, a fly space for opera productions, and a Reuter pipe organ. East Union Great Plains Room	 The Great Plains Room is located on the scenic East Campus. 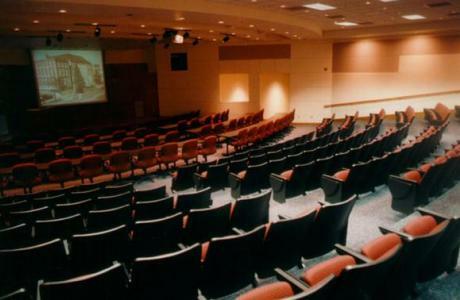 Located on the second floor of the Nebraska East Union, the Great Plains Room can accommodate 300 in banquet-style seating and 500 in theater-style seating. Sheldon Sculpture Garden	 The Sheldon Sculpture Garden provides a beautiful backdrop to any outdoor event. The two and a half acres of space is adjacent to Sheldon Memorial Art Gallery. 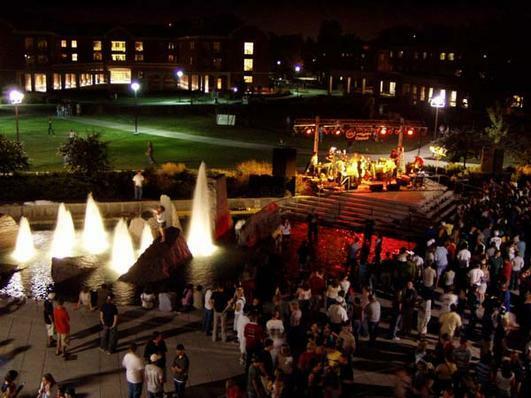 Outdoor Facilities	 With over 280 acres of green space and 110 acres of beautifully designed botanical garden areas, the University of Nebraska-Lincolns campus creates a spectacular setting for any event. 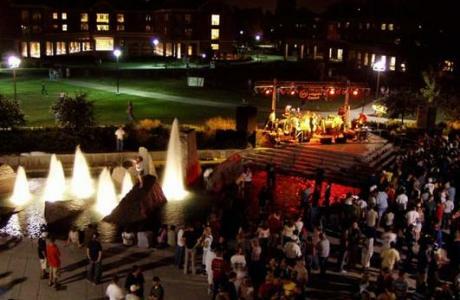 The campus grounds enhance university event facilities and provide an extraordinary outdoor setting for any special event. We offer an extensive selection of culinary choices, ranging from refreshment breaks and outdoor barbecues to themed banquets and elegant receptions. 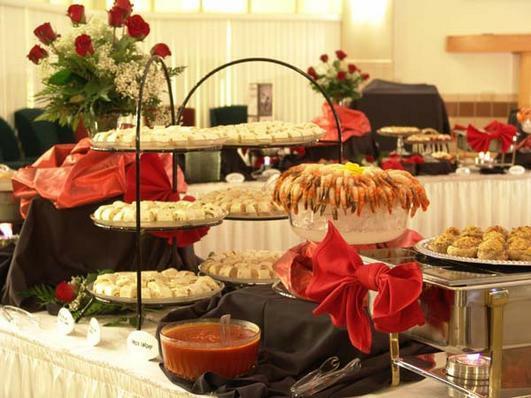 Our catering managers are experienced in planning customized events for your group in either on- or off-campus venues. This dining hall is located on the north end of campus near Harper, Schramm, Smith residence halls and the Village Apartments. This is a market-style servery with seating that can be sectioned off to meet your needs. This dining hall is located on the east side of campus near the Abel and Sandoz residence halls and the Courtyards Apartments. This is a market-style servery with a traditional line, an American grill option, a salad and desert line, a pizza and pasta line and a variety of made to order options. 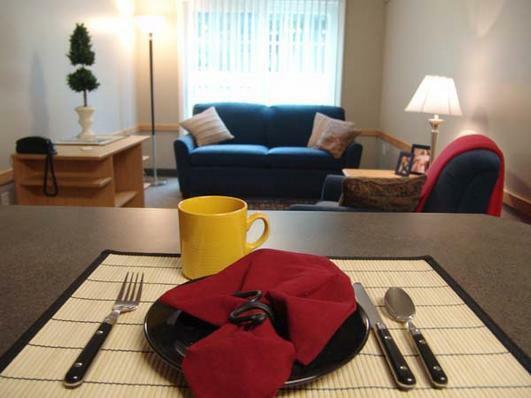 Selleck's central location is in easy walking distance of both campus facilities and downtown attractions. Home of the stone-baked pizza and a raman and noodle bar, Selleck has a wide variety of meal options. Centrally located, CPNs traditional dining center is home of UNLs Sustainable Food Project specializing in locally produced foods. 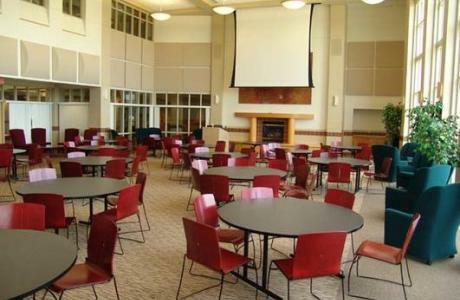 Located in Selleck Dining Center, this private dining and conference room can accommodate twenty-four guests. 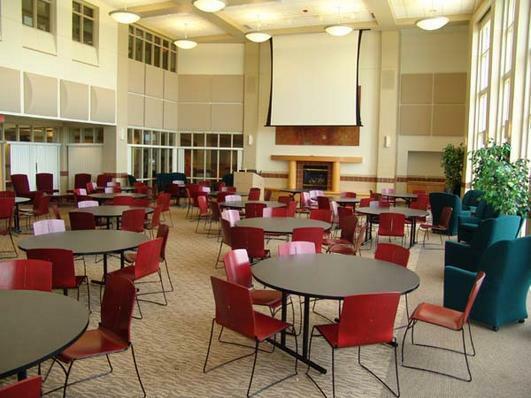 Located in Selleck Dining Center, this private banquet room can accommodate up to forty guests. Are you craving your favorite Starbucks coffee? Housed inside the Nebraska Union Caffina Cafe is the only on-campus Starbucks retailer. The Nebraska Union's food court includes Subway (sandwiches and pizza), Imperial Palace, and a local favorite, Runza Restaurant. Conference and Event Planning	 Your conference services planner will handle every aspect of your event from housing accommodations, to dining service needs, to parking requests. Twenty-Four Hours Desk Service	 Our front desk service is operational 24 hours a day. Free Highspeed Wireless Internet	 All guest rooms come with free, high-speed wireless internet access. 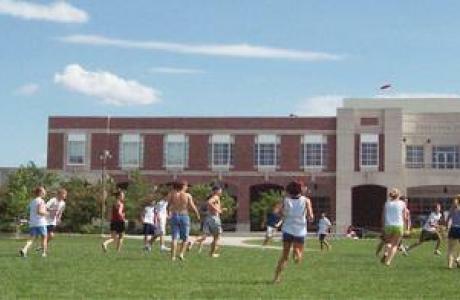 Campus Rec access	 Your group can arrange access to our state-of-the-art on-campus Recreation facility. Parking and Transportation Services	 Our conference service planners can make arrangements for parking permits and shuttle services. On-Campus Convenience Stores	 There are 4 convenience stores located around campus inside the Residence Halls. These stores stock a limited range of groceries, snack foods, beverages and personal care items. Equipment Rental	 There are dance floors, stages, podiums, speaker systems, and much more available to rent for your unique event. Talk to your conference planner for more information. University Catering Service	 University Catering offer an extensive selection of culinary choices, ranging from refreshment breaks and outdoor barbecues to themed banquets and elegant receptions. 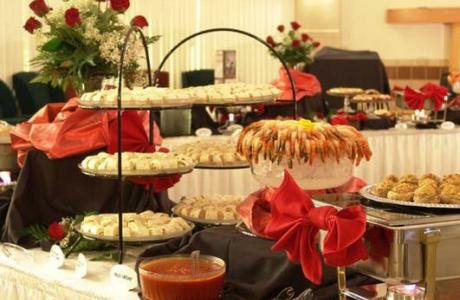 Our catering managers are experienced in planning customized events for your group in either on- or off-campus venues. 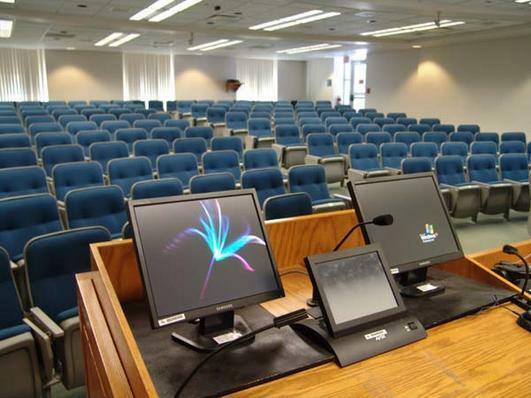 A/V and Technical Equipment and Support Most meeting spaces are equipped with LCD projectors, instructor computer terminals, microphones, as well as other common meeting equipment. Computer Labs Computer labs are available for your group throughout the campus. Computer Equipment Rental Desktop computers, laptops, iMacs, and printers rental arrangements can be made through your conference coordinator. Video Conferencing Our Video Conferencing service can literally place a video call to any site that has a high-speed computer connection, any where in the world. Free Highspeed Internet Access All guest rooms come with FREE high-speed internet access so you can stay in touch even away from the office. Sheldon Museum of Art	 One of the nation's premier university art museums, the Sheldon welcomes you for personal encounters with great American art. 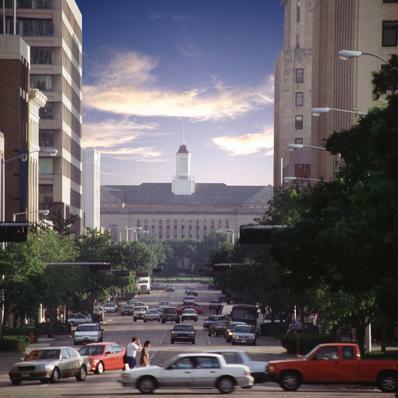 Morrill Hall State Museum	 Nebraska's largest natural history museum includes the world's premier collection of fossil elephants, interactive paleontology exhibits, American Indian exhibits, walk-in wildlife dioramas, hands-on discovery room, planetarium, laser shows and much more. Lincoln Children's Museum	 The Lincoln Children's Museum invites children to create, discover, and learn through the power of play. 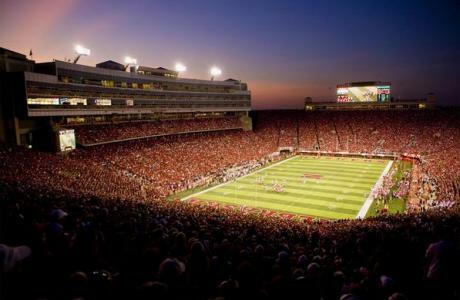 Memorial Stadium	 The home of the Huskers since 1923. At the conclusion of the 2016 season, the stadium holds an ongoing NCAA record of 354 consecutive sellouts, which began in 1962.
International Quilt Study Center & Museum	 The International Quilt Study Center and Museum is a treasure house of quilts from many countries and centuries. It offers a unique academic program and study resources that attract scholars worldwide. Lincoln's Historic Haymarket	 Originating in 1867, the first "Market Square" was between O and P streets from 9th to 10th, stop down for shopping, restaurants, art galleries, and much more. Downtown Attractions	 Downtown is the city's hub for government, education, finance and professional services, entertainment, dining, nightlife, arts and culture, and specialty retail. Salt Dogs Baseball	 The Saltdogs are a member of the North Division of the American Association of Independent Professional Baseball. Since the 2001 season, the Saltdogs have played their home games at Haymarket Park. Local Festivals and Farmers Market	 Check out the the many local festivals, such as Jazz in June, Celebrate Lincoln, and the Farmers Market. James Arthur Vineyard	 James Arthur Vineyards is a local winery that is always happy to extend an invitation to guests! So kick back, take a tour, and get to know a little more about their offerings. "It is comforting as a teacher who brings students each year and as a leader of our Association who is responsible for over 3,000 guests to know that we have the full focus and commitment of your well-trained and cooperative staff. Only through a cooperating working relationship could this event happen so flawlessly." "Thank you for making Lincoln a wonderful place to visit every year." 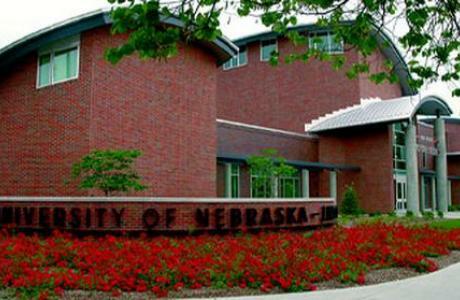 "UNL provided the perfect solution to our challenge of finding a new location." "This was the best hospitality I have witnessed in decades, anywhere!"